The Hon. 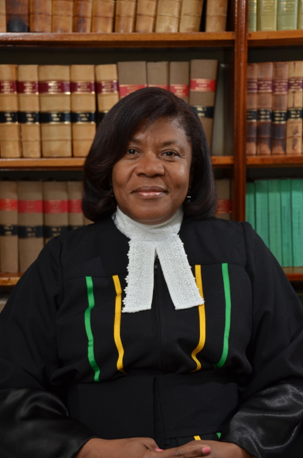 Mrs. Justice Zaila McCalla – Chief Justice has been appointed the new Chancellor of the Anglican Diocese of Jamaica and The Cayman Islands. Justice McCalla succeeds retired Chief Justice the Hon. Mr. Justice Lensley Wolfe, who demitted office earlier this year having served as Chancellor for 18 years. The appointment as Chancellor means that Mrs. McCalla automatically becomes a member of the Diocesan Council, which is the standing council of the Synod – the highest body in the Church. She will also serve on the Diocesan Financial Board as a member of the Synod. Justice McCalla will also assume the role of advisor to the Lord Bishop, in particular, and the Diocese in general, on matters of Ecclesiastical Canon Law. Her appointment became effective on July 1, 2014 and was was announced by the Bishop of Jamaica and the Cayman Islands, Reverend Dr. Howard Gregory.